Doing Better Business, So You Can Do Yours. OUR TRUCKS ARE SMALL ENOUGH TO FIT INTO MOST TIGHT SPOTS SO WE CAN SERVICE YOU! 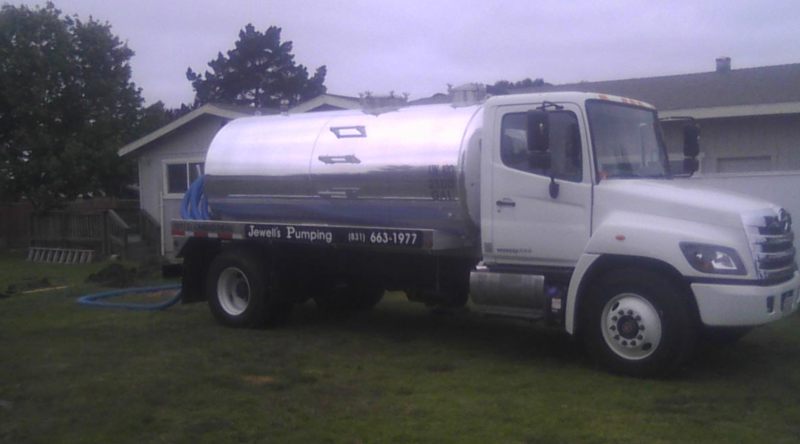 OUR PUMP TRUCKS CAN HOLD 2500 GALLONS OF SEPTIC WASTE, SO WE CAN GET IT ALL! 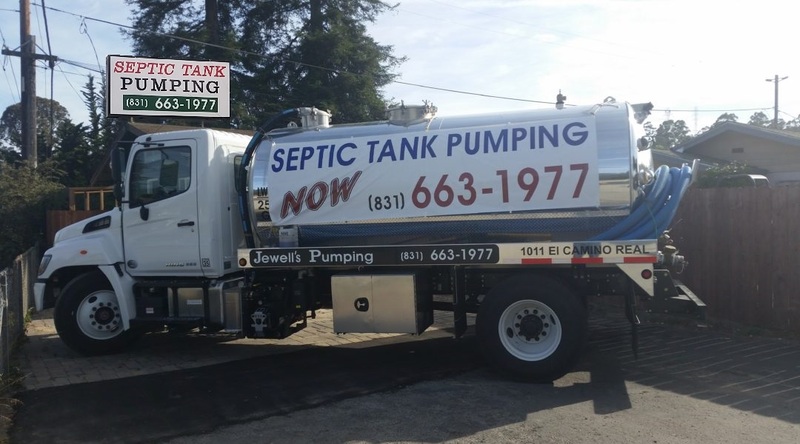 We proudly serve Monterey, Santa Cruz, and San Benito Counties with Septic Tank Pumping as well as Septic Inspections. We can usually respond to an emergency septic stiuation. Bad things happen form time to time, we understand and will do our best to help. It can be stressful enough needing your septic tank pumped and inspected, we understand and try to make it as painless as possible. We Compete by our work, by our professionalism, and by our quality of service! There are a few things in life you can count on, We hope Jewells Pumping will be one of them!